Your mHelpDesk templates can be customized to meet the needs of your business. 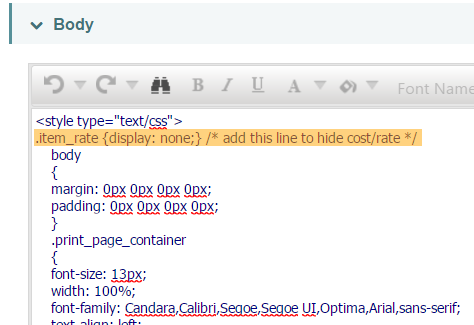 If you need to hide a column on one of your templates, you can do so simply by copying and pasting some HTML code! 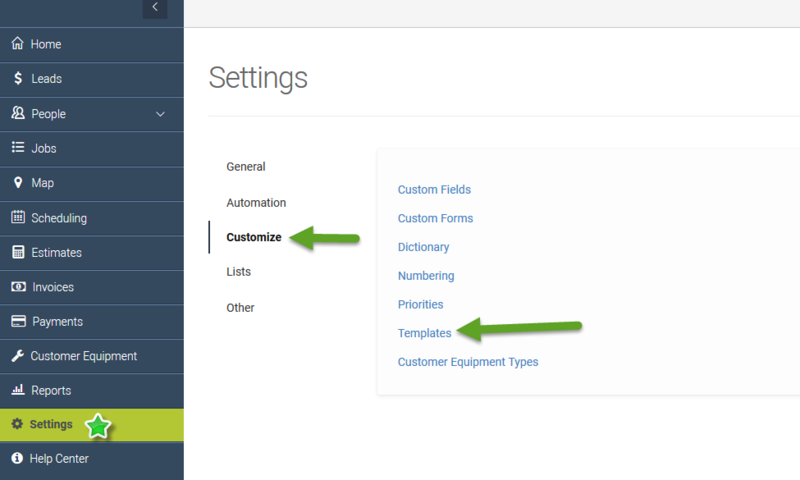 Click on Settings > Customize > Templates. 3. Select which template you would like to hide the columns on. You can hide columns on your Job PDF, Estimate PDF, Invoice PDF, Job Email, Estimate Email, and Invoice Email templates. 4. 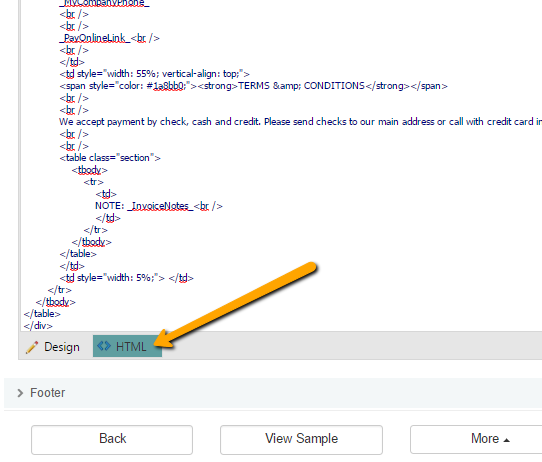 Once you've selected the template, scroll to the bottom of the screen and click on HTML. 5. In this HTML view, search for "<style type="text/css">". Hiding Columns for "Ticket Items"
Hiding Columns for "Ticket Appointments"
7. Paste this code below "<style type="text/css">". If you would like to see a sample of your template before saving, click View Sample and it will show you the updated version! Questions? Please contact our Account Support team by clicking on the chat bubble or calling +1 (888)-558-6275 ext. 2.